Blog of Nevada and California licensed attorney Jonas M. Grant, offering occasional news, information, and opinion regarding Nevada small business, corporate, employment, incorporation, business entity, real estate, intellectual property, and entertainment law matters. Although the law would face an uncertain future when put to Nevada voters, its final hurdle before becoming effective, Nevada state Democrats' plan to have real property taxes reassessed upon sale passed in the state legislature in 2017 and is set for another vote in 2019. If successful, the measure would then go on the ballot for voter approval in 2020. The new system would be similar to the one already in effect in California. How to Win Nevada, by Dan Hernandez, POLITICO, October 27, 2018. Effective today, merchants in other states with no physical presence in Nevada that sell $100,000 or more in sales to Nevada or have more than 200 sales transactions in a year are required to collect Nevada sales tax on such sales. These online sellers will need to register for a Nevada sales tax account and file Nevada sales tax returns. The thresholds ensure that eBay and Amazon marketplace sellers and other small online merchants will not be affected. The law comes in the wake of the U.S. Supreme Court's Wayfair decision, that paved the way for states to require sales tax collection by out of state retailers. 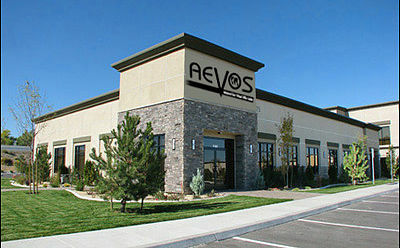 My new primary office address and mailing address is 10775 Double R Blvd., Reno, NV 89521. 775-376-7155. Client meetings by appointment only. Reception hours Monday through Friday, 8 AM to 5 PM. Google map: Law Office of Jonas M. Grant, A.P.C. In the consolidated cases of Epic Systems Corp. v. Lewis, No. 16-285; Ernst & Young LLP et al. v. Morris et al., No. 16-300; and National Labor Relations Board v. Murphy Oil USA, Inc., et al., No. 16-307 (May 21, 2018), the Supreme Court has resolved a conflict amongst the U.S. Federal Circuit Courts, and once again the Ninth Circuit has been overruled. This time SCOTUS confirmed that class action waivers in employee arbitration agreements are enforceable (if properly drafted). The Supreme Court had previously ruled these as enforceable in consumer arbitration agreements in 2011. The favorable ruling for employers had been opposed by the Obama Administration and more recently supported by the Trump Administration. This ruling is a valuable tool for Nevada employers if properly deployed. the sales and use tax rate for Clark County, Nevada (including Las Vegas and Henderson) increases from 8.15% to 8.25%. Nevada businesses are responsible for collecting and remitting the correct amount of sales and use tax to the state. Business owners with questions should contact a Nevada business attorney, their accountant, or the Nevada Department of Taxation: (866) 962-3707. Copyright © 2011-2017 Law Office of Jonas M. Grant, A.P.C., all rights reserved. Awesome Inc. theme. Powered by Blogger.